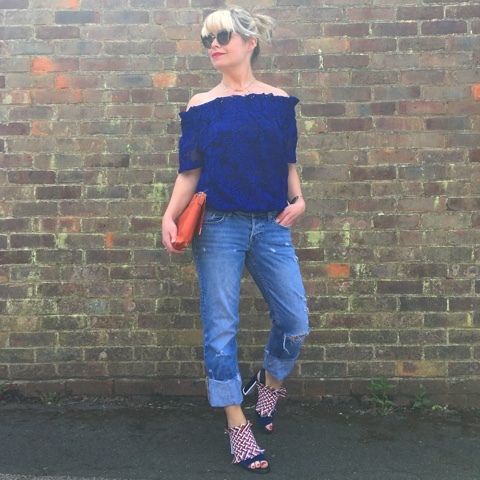 The Fashion Lift: Instastyle - My heatwave outfit looks..
Instastyle - My heatwave outfit looks.. 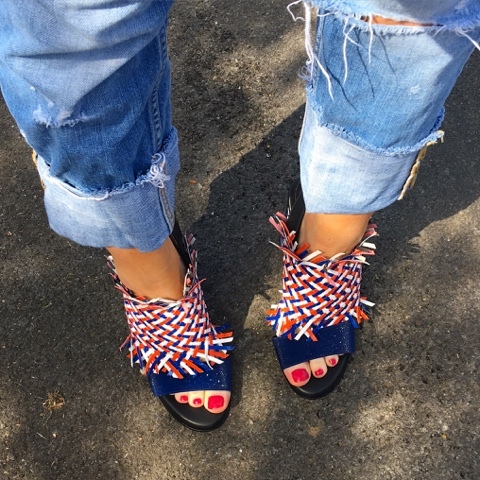 Size up and wear loose, they will be your coolest option for jeans this summer, they look fab with flat sandals or dress up in the evening with statement heels (love these from Miista). Where possible keep your top as neat fitting as possible to balance out the bagginess of the jeans. 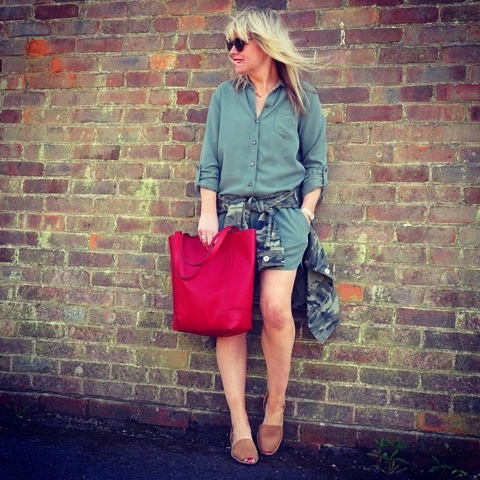 Khaki is featuring heavily in my summer wardrobe, it is such a good neutral colour and is softer against the my skin. I have worn my Hush jacket non stop, so good for throwing over any outfit and my J Brand jeans have been worth every penny. So this is about as summery as I get at the moment, this is possibly the most comfortable, easy outfit I have bought so far this season. The jumpsuit is from Quattro Rish £79 (they will post out to you if you give them a call on 01737 235468) As last year my Menorcan sandals will be my go to for basic day summer shoes, super comfy and the neutral colour is flattering on my legs, these ones are from Varca Shoes. A pop of colour from my surprise buy my Laura Ashley huge tote bag (not leather) but fab for chucking everything in when I am out and about! I didn't know if I should buy this top (I already have a few) but it has been so useful. I love the fact it covers my arms and looks just as good with denim short as with jeans. 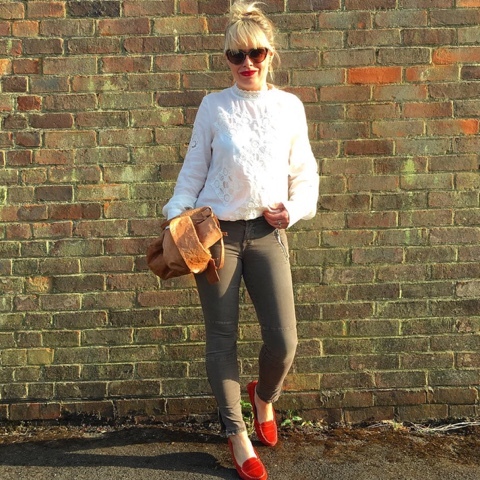 I got these J Brand houlihans preloved from EditSecondHand, I have wanted a pair for years and buying them pre-loved made them affordable. So it looks like Khaki will be king in my summer wardrobe along with my trusty white tops and denim. The heatwave, which I think has now gone and we will be back to sweaters in no time, gave me a short sharp wake up call to sort out my clothes, I have so many I do not wear and really need to focus on what will be an easy, workable summer wardrobe and also that I seriously need to start exercising! Some lovely outfits. I think I have been wearing variations of tee/peasant top/shirt with jeans and sandals. Back to warmer clothes again as it's colder again now.